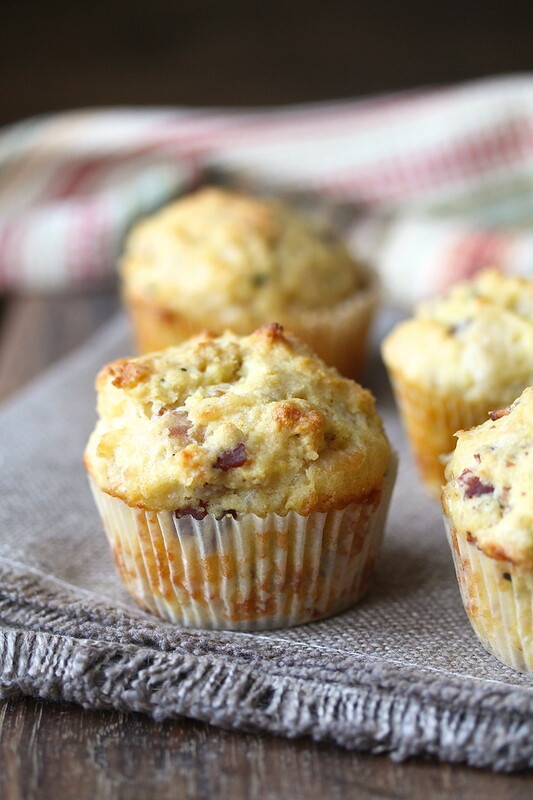 These quiche Lorraine muffins are pretty incredible. They are reminiscent of the quiche craze of the 1970s, in a good way. The combination of lots of bacon and my favorite magical baking cheese, Gruyere, is classic and delicious. 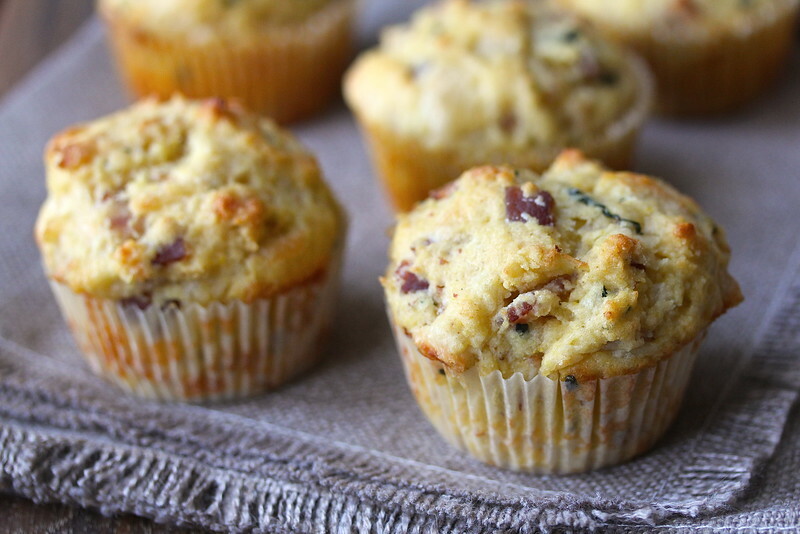 These muffins are perfect for breakfast, lunch, or Sunday brunch. Pair them with a Caesar salad (80s or 90s? ), and you have a complete meal. They are savory and cheesy, and the flavors are very elegant. This is a recipe that I will be making again and again. In fact, I took these to work and they quickly disappeared. Note: I discovered that I did not have any milk when I decide to make these muffins, however, I did have some powdered milk. I whisked one quarter cup of dried milk into the flour mixture, and added one cup of water for the milk into the wet ingredients. This trick also works well when a recipe calls for buttermilk. Makes 12 muffins. Adapted from The Ultimate Muffin Book. 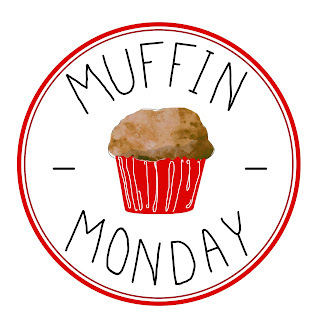 Preheat your oven with a rack in the center to 400 degrees F. Line a 12 cavity muffin tin with paper muffin liners. Heat a large skillet over medium heat. Add the bacon and fry for about 2 minutes. Add the chives and onions and cook over medium low heat until the bacon is lightly browned but not too crispy, about 5 minutes. Transfer the bacon and onion mixture to a large bowl and let cool for about 10 minutes. In a medium bowl, whisk together the flour, cornmeal, baking powder, sugar, and salt. When the bacon has cooled, whisk in the egg, egg yolks, vegetable oil, milk, and grated Gruyere. Add the flour mixture to the wet ingredients. Mix until just fully incorporated. Scoop the batter evenly into the muffin cups, about 3/4 full. Bake the muffins for 18 minutes, until lightly browned. Let the muffins cool in the muffin tin for about 5 minutes. Remove the muffins from the pan and let cool another 10 minutes on a wire rack before serving. Store fully cooled muffins in an airtight container for up to two days. These muffins can be individually wrapped and frozen for up to 3 months. I've been WAITING for this one since you mentioned it, Karen! I love everything about quiche Lorraine, the bacon, the eggs, the CHEESE, so I know your muffins have got to be good, especially with the addition of chives and onion. Thanks Stacy! I'm with you on quiche Lorraine! Thanks Rebekah. Wouldn't they be? I loved them Vicki! Thanks so much. I could get along with these famously, considering the quiche craze has never ended for me! Thanx so much for another yummy recipe! These are the kind of muffins that would start my kids' day off swimmingly well! Plenty of protein and flavor, I know they'd love them. Great idea and great execution of the concept. A quiche I can eat with my hands! 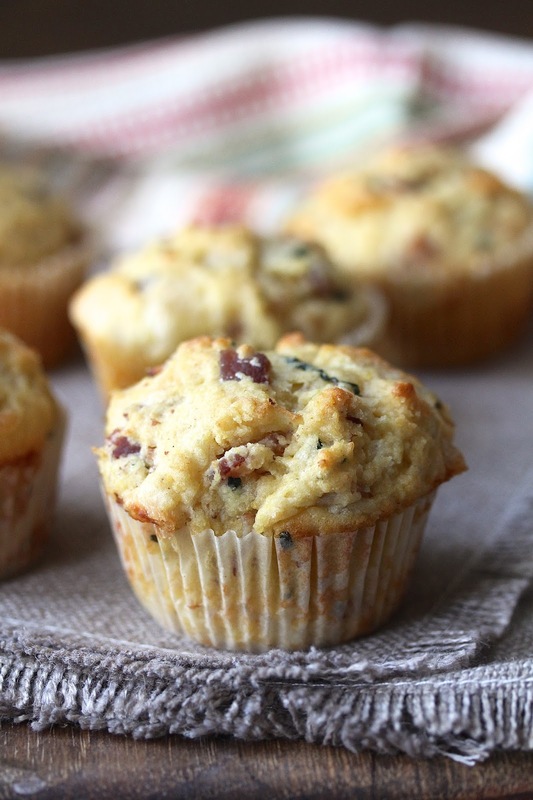 I can't think of a better treat fro a brunch than these muffins. With a green salad and fruit, maybe a sweet or two and a cup of coffee, I'd be in heaven.